Haemin Sunim is one of the most influential Zen Buddhist teachers and writers in South Korea, where his books have sold more than three million copies and are popular as guides not only to mediation but also to overcoming the challenges of everyday life. Born in South Korea, he came to the United States to study film, only to find himself pulled into the spiritual life. Educated at UC Berkeley, Harvard, and Princeton, he received formal monastic training in Korea and taught Buddhism at Hampshire College in Amherst, Massachusetts. 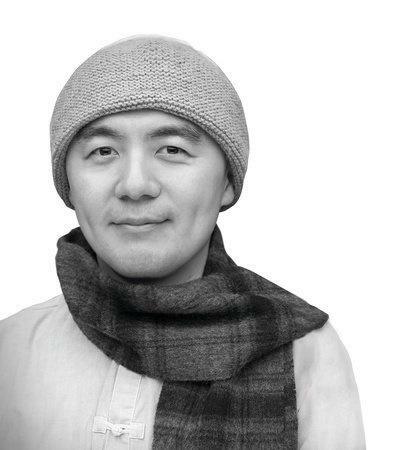 Hugely popular in Korea, Haemin Sunim is a Zen meditation teacher whose teachings transcend religions and borders and resonate with people of all ages. The world moves fast, but that doesn’t mean we have to. In this bestselling mindfulness guide—it has sold more than three million copies in Korea, where it was a #1 bestseller for forty-one weeks and received multiple Best Book of the Year awards—Haemin Sunim, a renowned Buddhist meditation teacher born in Korea and educated in the United States, illuminates a path to inner peace and balance amid the overwhelming demands of everyday life. His guideposts to well-being and happiness in eight areas—including relationships, love, and spirituality—emphasize the importance of forging a deeper connection with others and being compassionate and forgiving toward ourselves. The full-color artwork that accompanies his teachings serve as calming visual interludes, encouraging us to notice that when you slow down, the world slows down with you.